A journal of my experiences as a stay-at-home-mom. Seriously? These people are reproducing? I may have a chance of being the smartest one yet. 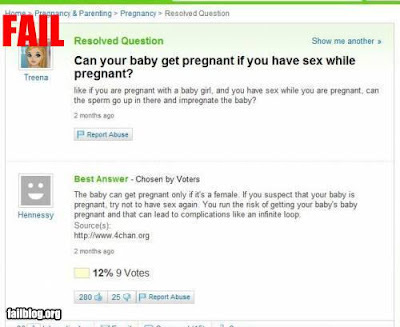 "your baby's baby could get pregnant...an infinite loop." WOW! We live in Silver Spring!